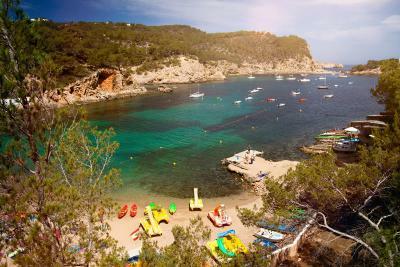 It is located in quieter area compared to the busy city center. The apartment was big. Wonderful Beach 5m from the apartment, amazing swimming pool and the apartment was clean and tidy, amazing sea view from the balcony . 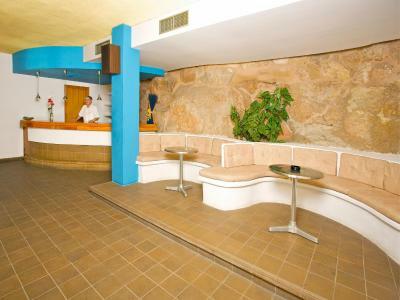 This is a lovely small resort don't expect any clubs or nightlife except the hotel entertainment. This was varied and for the children, we had had enough by 9.30 each night, but most people were enjoying themselves and joining in! 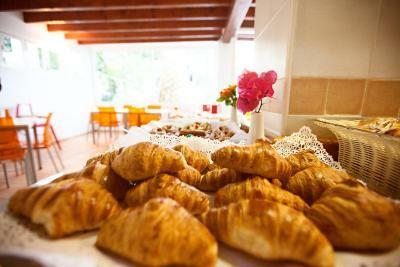 The food is good and varied, full cooked breakfast, pastries, fruit, yoghurt etc. I think lunch and dinner were fantastic, loads of salad and different fish and meats daily. We stayed in a superior one bed apartment - a little tired but clean and did the job. Air con worked well as we didnt have a seperate unit in the bedroom but didn't feel overheated even in August. I would stay here again purely for the value for money, if you don't expect too much this is a great little place to stay! Very friendly staff. Great food. Lovely pool options. The location of the resort is great, the staff were really friendly and special kuddos to the cleaning ladies as they are very thorough with the sand that inevitably ends up in the room. The apartment was loveky. Dated deco but great size and has every thing u need. The location and views are incredible. We enjoyed everything, pool, beach, food was brilliant. Entertainers and the staff were the Best, program all the tíme, Jackson show, great quizes. We Could not choose a better place to stay, made a lot of friends and Could talk to different people and nationalities. They are very friendly,food was tasty and unlimited.I recomend for everyone even for kids as well. Excellent base for exploring the surrounding coast. A very pleasant stay. San Miguel Park / Esmeralda Mar This rating is a reflection of how the property compares to the industry standard when it comes to price, facilities and services available. It's based on a self-evaluation by the property. Use this rating to help choose your stay! 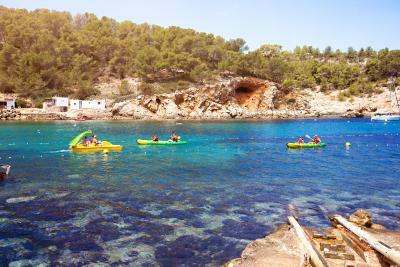 San Miguel Park / Esmeralda Mar is located within a protected natural environment on the island of Ibiza, 1,150 feet from San Miguel Beach. It has 3 outdoor swimming pools. 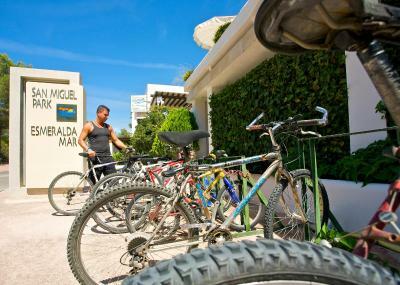 Guests at San Miguel Park / Esmeralda Mar can choose from studios, one and two-bedroom apartments and superior apartments with sea views. All come with air conditioning, a balcony or terrace, a kitchenette and satellite TV with DVD player. 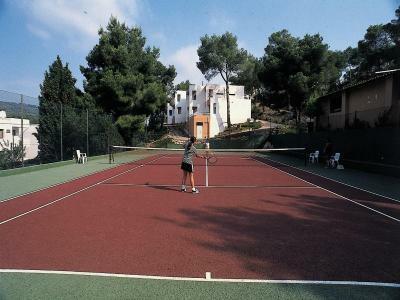 Facilities at San Miguel Park include a hot tub, a tennis court, buffet restaurant and free WiFi in the bar, restaurant, and lounge. 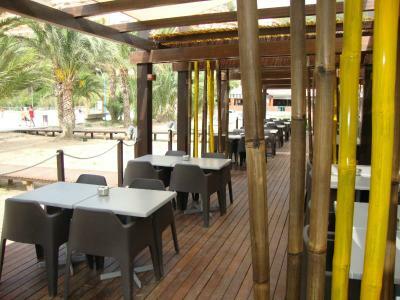 Guests get 1 free parasol when renting sun loungers at the beach. 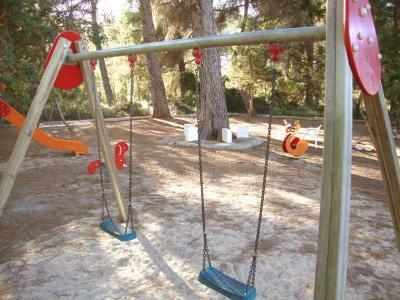 Offering direct access to the beach, the complex offers daily activities and an entertainment program for children, as well as a playground. 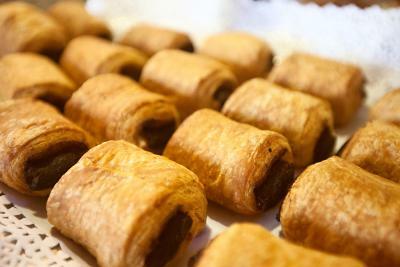 The local Artisan Market can be found 2.5 mi from San Miguel Park. The Can Marsa Caves are 0.6 mi away. 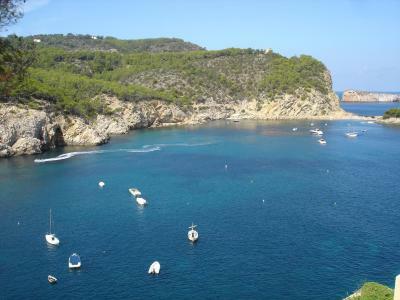 This property is also rated for the best value in Puerto de San Miguel! Guests are getting more for their money when compared to other properties in this city. 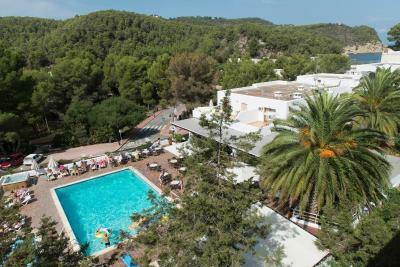 When would you like to stay at San Miguel Park / Esmeralda Mar? Featuring a balcony or terrace, this air-conditioned studio has an open-plan sleeping and living area with satellite TV, a DVD and CD player, a sofa bed, and a kitchenette with a microwave, fridge and cooking utensils. The bathroom has a hairdryer. A safe can be rented. 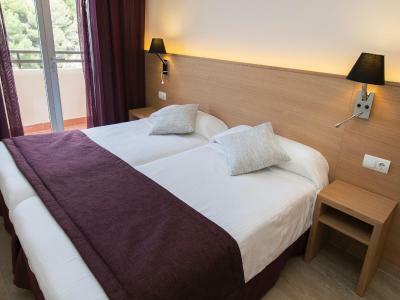 Featuring a balcony or terrace, this air-conditioned apartment has a double or twin bedroom, and a living area with satellite TV, a DVD and CD player and 2 sofa beds. The kitchenette comes equipped with a microwave, fridge and cooking utensils. The bathroom has a hairdryer. Featuring a balcony or terrace, this air-conditioned apartment has a double bedroom, a twin bedroom, and a living area with satellite TV, a DVD and CD player and a sofa bed. The kitchenette comes equipped with a microwave, fridge and cooking utensils. The bathroom has a hairdryer. Completely renovated in 2015, this air-conditioned apartment features a balcony or terrace with sea views. The bedroom has 2 single beds and the living room comes with a flat-screen satellite TV, CD and DVD player, as well as a sofa bed. There is a dining area and kitchenette with a fridge and microwave. The fully equipped bathroom includes a hairdryer. A bathrobe is available on request and beach towels are available for free, subject to a returnable deposit. A safe can also be hired for a supplement. This apartment is located at Esmeralda Mar, 262 feet from the restaurant. Access to the beach via stairs and ramps. 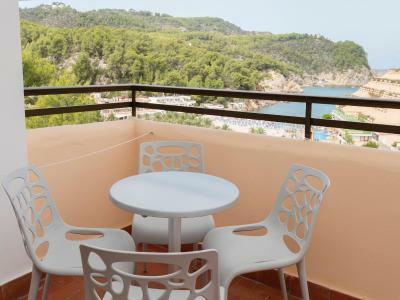 Featuring a balcony or terrace, this air-conditioned apartment has a double or twin bedroom, and a living area with satellite TV, a DVD and CD player and a sofa bed. 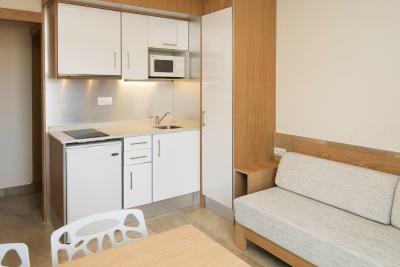 The kitchenette comes equipped with a microwave, fridge and cooking utensils. The bathroom has a hairdryer. 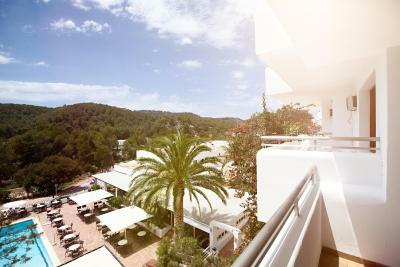 This modern, air-conditioned apartment has two separate bedrooms and a balcony or terrace with attractive sea views. The main bedroom has a flat-screen TV and twin beds. The dining/living area offers another flat-screen TV with DVD/CD player, a sofa bed and a kitchenette with microwave, fridge and kitchenware. The bathroom comes with hairdryer and a modern shower. Bathrobes can be provided upon request. Beach towels are included for free (a security deposit is needed). A safe is available for rent. This air-conditioned apartment has a twin bedroom and a balcony or terrace. The separate living-dining area offers a satellite TV with DVD/CD player, 2 single beds and 1 sofa bed. The open-plan kitchenette has a microwave, fridge and cooking utensils. The bathroom comes with hairdryer and a bathtub. A safe is available for rent. This air-conditioned apartment features a seating area with a flat-screen TV, DVD and CD player and a sofa bed. The kitchen is equipped with a microwave, kitchenware and fridge. The bathroom comes with a hairdryer and a modern shower. Bathrobes can be provided upon request. A safe is available upon request. There is a double bedroom and a twin bedroom. 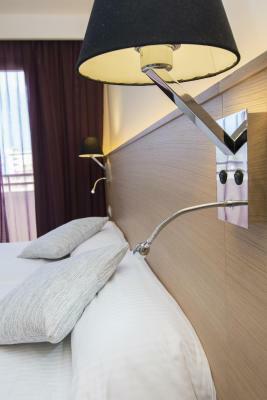 The twin bedroom includes a flat-screen TV. 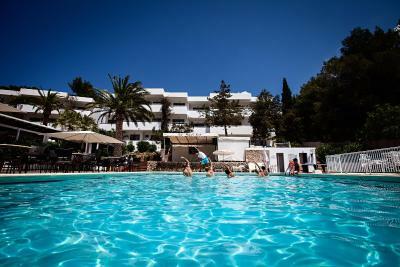 This air-conditioned apartment has 1 double bedroom, 1 twin bedroom, and a balcony or terrace. The separate living-dining area offers a satellite TV with DVD/CD player, and 1 sofa bed. The open-plan kitchenette has a microwave, fridge and cooking utensils. The bathroom comes with hairdryer. Featuring a balcony or terrace, this studio comes with a fully equipped kitchenette with microwave, fridge and kitchenware. 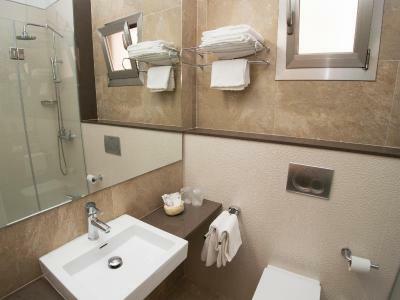 There is also a bathroom, and a lounge area with satellite TV, CD and DVD player, and a safe (available at a surcharge). Featuring a balcony or terrace, this air-conditioned apartment has a double or twin bedroom and a living area with satellite TV, DVD and CD player and sofa bed. The kitchenette comes with a microwave, fridge and cooking utensils. The bathroom includes a hairdryer, and a safe can be rented. San Miguel Park & Esmeralda Mar is a family-run complex. We would like to welcome you and thank you for your interest in staying at our resort. We are a team of over 20 people who work hard to make your holiday unforgettable. House Rules San Miguel Park / Esmeralda Mar takes special requests – add in the next step! San Miguel Park &#47; Esmeralda Mar accepts these cards and reserves the right to temporarily hold an amount prior to arrival. San Miguel Park / Esmeralda Mar accepts these cards and reserves the right to temporarily hold an amount prior to arrival. Please note that drinks are not included for half board and full board room rates. A cleaning service is available 6 days a week, however kitchens are not cleaned during this time. Beach towels can be rented. 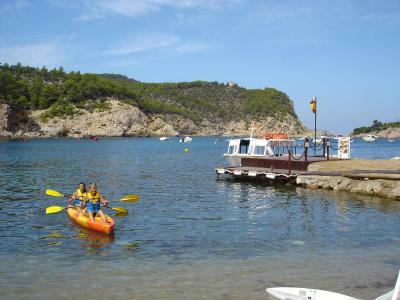 - Mountain bikes, canoes and tennis facilities. Animation team very noisy. Hotel might need little bit upgrade. Curtains , furniture, beds, equipment in the kitchen ... It is very basic and old style.. Little refreshment would be really helpful .. Check room location as a few stairs to climb to some parts of the hotel. The resort was too calm. Too quiet for kids. Not much restaurant and bar choice . This was end of September. Reception staff a little rude and cold but this is a Spanish thing in general. Beds confortable. Lovely modern appartement. Quiet location. Peaceful at night. Definitely value for money. 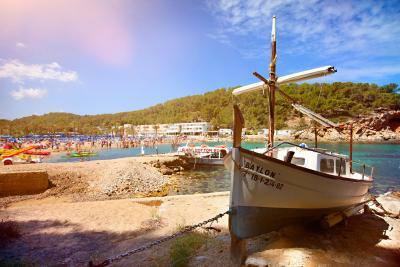 Great base to explore Ibiza. We requested a double bedroom and we were given a 3 single bed apartment. The employers dont help the turists.